Fungi are the most common cause of diseases in crops and other plants and pose major threats to humans and other animals. The successful treatment of fungal diseases is difficult partly because the mechanisms for fungal pathogenesis remain largely unknown as well as that fungi are eukaryotes as the host cells. 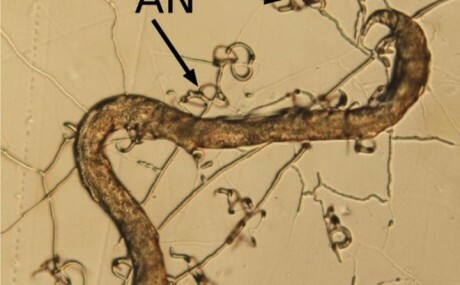 Multiple lifestyles have been recruited by fungi to live in different environments. Deep in the ocean or underground, where there is no oxygen, Geobacter bacteria "breathe" by projecting tiny protein filaments called "nanowires"